At today's meeting of the Supervisory Board of Porsche AG Andreas Haffner (49) was appointed successor to Thomas Edig (53) on the Executive Board of the sports car manufacturer. Haffner will head the Human Resources department with effect from October 1, 2015. Edig had been Member of the Executive Board of Porsche AG since May 2007 and also Deputy Chairman of the Executive Board since July 2009. 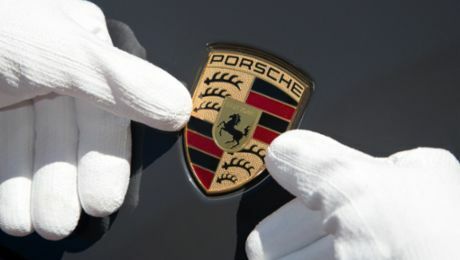 From July 2009 to February 2012, he was also member of the Executive Board of Porsche Automobil Holding SE. Edig will remain within the Group. On October 1, 2015, he will relocate from Stuttgart to Hannover and will be responsible for Human Resources as Member of the Management Board of Volkswagen Commercial Vehicles. Andreas Haffner moves from the Group headquarters of Volkswagen in Wolfsburg to Zuffenhausen. He has been Head of Group Human Resources Top Management for the past four and a half years and was responsible for the recruitment of all managerial posts. Previously, Haffner worked for 17 years in various managerial positions in Human Resources and Social Affairs at Porsche AG, Porsche SE and Volkswagen AG. On behalf of the Supervisory Board and the Executive Board, Dr. Wolfgang Porsche, Chairman of the Supervisory Board of Porsche AG, and Matthias Müller, Chairman of the Executive Board of Porsche AG, thanked Thomas Edig for his services to the sports car manufacturer. Edig not only managed to further develop the special Porsche culture of balancing performance with social issues, he also strengthened the excellent image of the company as an attractive employer. During his period of office, the work force increased from about 11,000 employees in 2007 to almost 25,000 in 2015. Uwe Hück, Chairman of the General and Group Works Council of Porsche AG reaffirmed that "In the last years, we worked well together and introduced important steps to safeguard jobs in 2010 and agreements for the employment market of the future. I wish him all the best for the future and am looking forward to working closely with Andreas Haffner." Chairman of the Executive Board Matthias Müller was delighted to have gained an experienced specialist for the Executive Board in the person of Andreas Haffner. The 49 year old lawyer started his career at Porsche AG in 1994 as Head of Labour and Collective Bargaining. Three years later, he took over responsibility for subsidiaries and postings abroad within the Human Resources department. In 2000, he was appointed Head of Human Resources at the Development Centre in Weissach. His additional posts included Head of Human Resources and Organisation at Porsche SE in 2008 and at the beginning of 2011, Head of Group Personnel Top Management International at Volkswagen AG. Many varied and exciting tasks are now awaiting Haffner at Porsche AG. For instance, the sports car manufacturer is pushing forward with individualised working time and is promoting the appointment of female executives at all corporate levels. In addition future issues within the car industry will require new employees with a modified profile. "In future, we need more young people from the digital world," said Matthias Müller, "to mastermind future developments in electric mobility and networked vehicle technologies." Here is where you can find all important information on Porsche. After the most successful year in the company's history: bonus up to 8,911 euros.